This meat is tender, full of flavor, and yes, delicious. 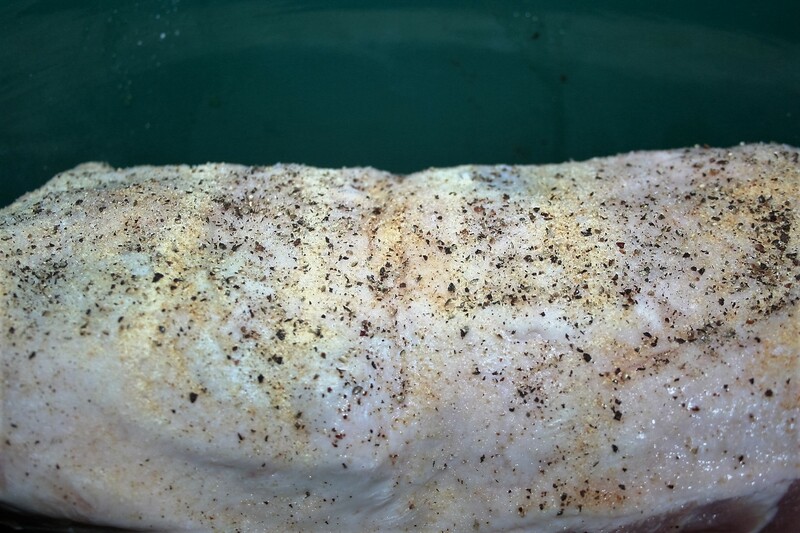 I have never made pork roasts prior to the last several months. I mean, seriously, never. Then I started the ketogenics diet and things are very different around here. About a month ago, I noticed that Aldi was having a pork roast on sale for $1.49 a pound, so I put it on my menu and grocery list. 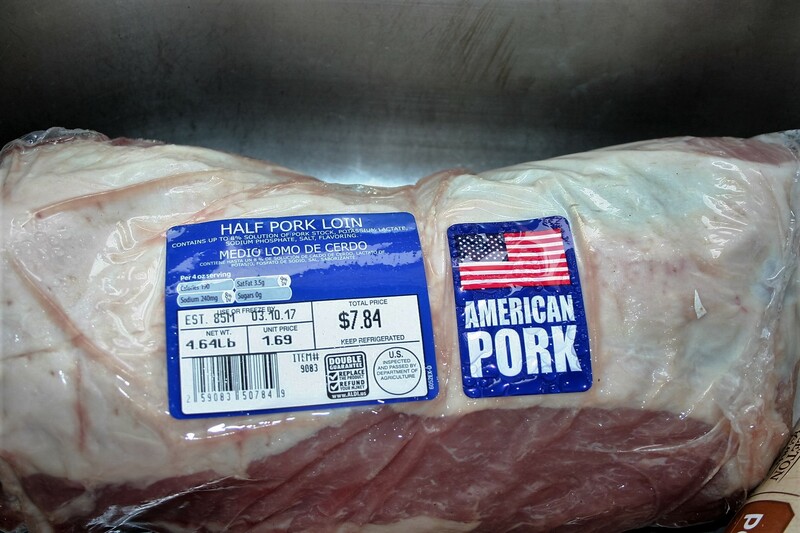 When I got there, the only one I saw was this but it was $1.69 a pound. 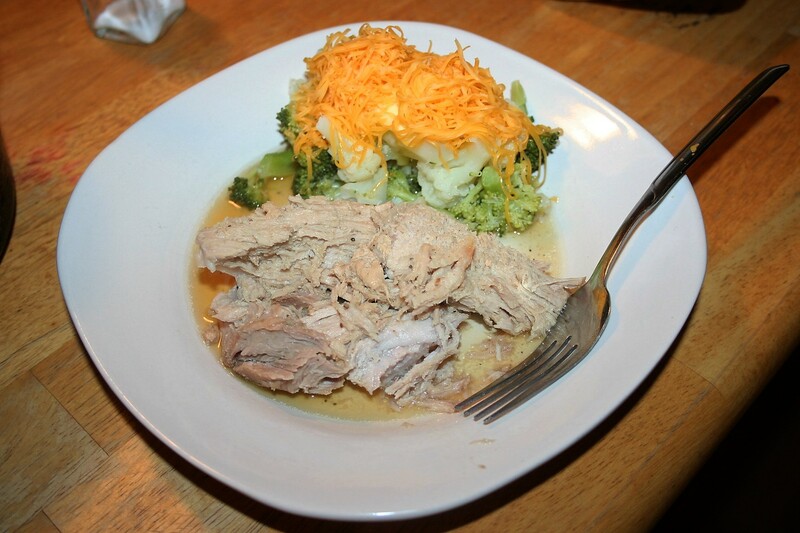 When I cooked it, I just put it in the crock-pot and seasoned it with salt, pepper, onion powder, and garlic powder. That’s it! Seriously! And it was scrumptious. So today I am sharing my super easy “recipe” with you. Buy roast. Remove roast from packaging. Place fat side up, in a crock-pot. Sprinkle with a little salt, onion powder, garlic powder, and freshly ground black pepper. Now I have to say that this one wasn’t as good as the last one because it was mostly white meat. So look for one that has the darker pink rather than the lighter pink, because the darker is much better. Put roast in the crock-pot, fat side on top.